House shifting can often be a series of pain, struggles and overbearing expenses. And if paying the brokers wasn’t enough, a large sum of our income goes straight in the pockets of unprofessional packers and movers. Anyone who has ever attempted to shift base can certainly testify the damages accounted by relocation services- on both price charge and defacing furniture’s in the process. Whether you’re new in town or just moving houses, the thought of moving your belongings and possessions can be daunting and stressful when you opt for a local packers and movers. So before you go ahead and start looking out for packers and movers near me, give Housejoy a call and experience a hassle-free home shift without splurging as much. With Housejoy’s professional packers and movers on your side, you don’t have to fret about anything. Trust our professionals in house shifting service to act not only as perfect mediators in attending and catering to your shifting and relocation but also in organizing your belongings with efficiency and care. Furthermore, for all your relocation requirements, be it car transportation, office relocation, shop shifting or commercial shifting needs, our professional packers and movers are both reliable and affordable in a cost effective way. So say goodbye to those frightening recurring issues that happens with every move. With Housejoy on boards, our verified and skilled professionals are sure to deliver all your home belongings in pristine condition. Needless to say, Housejoy’s team of professional packers and movers not only ensures you an effective home shift but also aids in unloading and restructuring the goods as per your choice. 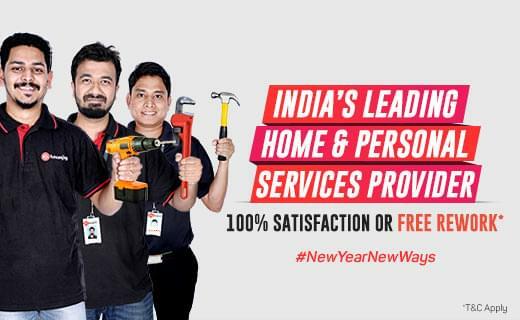 Noted as the one stop website for all home requirements and services, Housejoy provides you with best in class professionals to take over your task and leave you tension- free. At Housejoy, we lay emphasis on our customers, hence our team comprised of only the most qualified movers and packers to deliver high quality service at all times. With that being said, rest all your worries on Housejoy and give our verified packers and movers a shot to see the difference for yourself.